Pioneers in the industry, we offer Carbide Bushes such as Carbide Guide Bushes, Carbide Ferrules, Drill Bushes and Carbide Eyelets Bushes from India. This is a product is basically designed for drilling purpose. 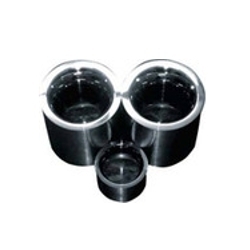 We offer highly efficient Drill Bushes for hydraulic industries. In the manufacture we are including high specific gravity materials which are ensuring the hardness and work capacity of the product. They are corrosion resistant and can assist high range pressure. These ultra hard drill bushes are cost effective and durable in nature. We offer truly genuine Carbide Bushes from trusted kind of raw materials. Generally we are procuring the materials from well known vendors working with us from a long time. Our products are designed in a way to resist high pressure limit in the application arena. It includes beverage industries, food, chemical, and petroleum or textile industries. High quality packaging is enhancing our acceptability. Backed by rich industry experience and knowledge,we offer a wide assortment of Carbide bushes and Carbide Ferrules. Manufactured using superior quality raw material and latest technology, these carbide bushes are designed in accordance with the international quality standards. Owing to their perfect finish, precise dimension, durability and corrosion resistance, these are highly appreciated by the clients all across the nation. 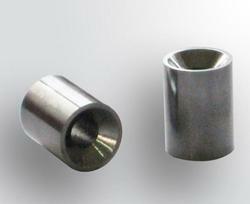 Backed by rich industry experience and knowledge,we offer a wide assortment of Carbide Guide Bushes. Manufactured using superior quality raw material and latest technology, these are designed in accordance with the international quality standards. 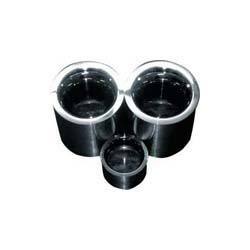 Owing to their perfect finish, precise dimension, durability and corrosion resistance, these are highly appreciated by the clients all across the nation. Looking for Carbide Bushes ?